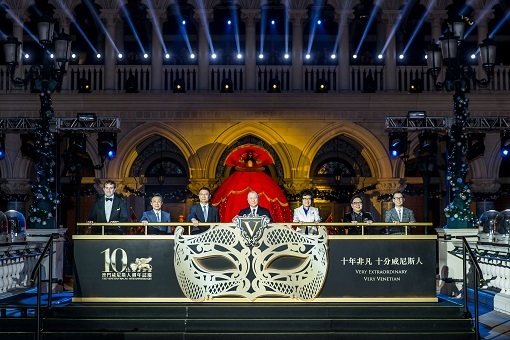 (Macao, Nov. 20, 2017) – Sands China Ltd. celebrated the 10th anniversary of The Venetian® Macao Monday, highlighted by a ceremony at the outdoor lagoon of the iconic integrated resort. Opened on Aug. 28, 2007, with great expectations for its success, the company’s anchor property on the Cotai Strip quickly became a must-see landmark destination that redefined the Cotai skyline, where it still draws in millions of visitors from around the world 10 years later. With a vision to establish a world-class business, leisure and family destination on the Cotai Strip, Chairman and CEO of Las Vegas Sands Corp. and Sands China Ltd. Sheldon G. Adelson brought his successful integrated resort model to Macao with the launch of The Venetian Macao – a move that was seen as a risky venture by many, but one that has stood the test of time. 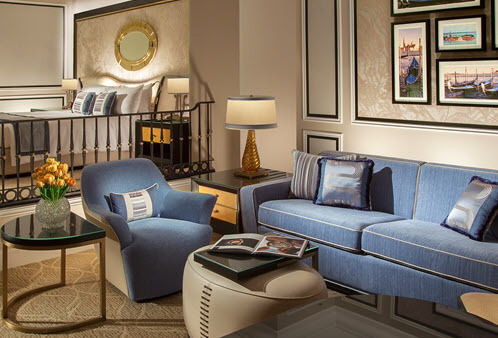 Ten years on, The Venetian Macao has been joined by three interconnected sister resorts – The Plaza™ Macao, Sands® Cotai Central, and The Parisian Macao – forming an integrated resort city on Cotai attracting nearly half a billion visitors over the last 10 years. 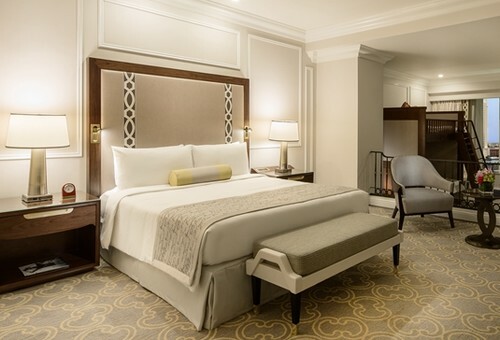 With The Venetian Macao leading the way, Sands China continues its long-held strategy of offering a diversified mix of attractions and services to its visitors – nearly 13,000 hotel rooms and suites, 140 dining options, the region’s premier meetings and conventions destination, more than 850 duty-free shops, and the biggest names in entertainment – in line with the Macao government’s push to develop Macao into a world centre of tourism and leisure while diversifying the city’s tourism economy. 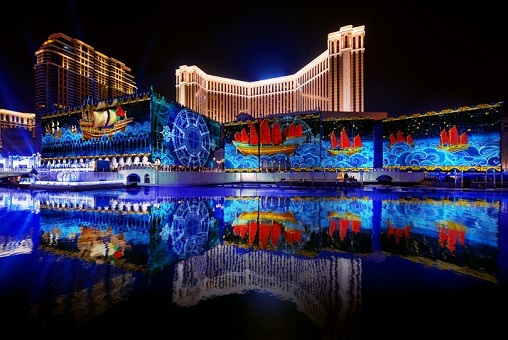 Dr. Wong attended the main ceremony at the lagoon Monday evening, along with government dignitaries and celebrities, where they enjoyed a masquerade grand parade featuring music and dancing, a light and sound 3-D mapping spectacular projected on the façade of The Venetian Macao, and a pyrotechnic show. 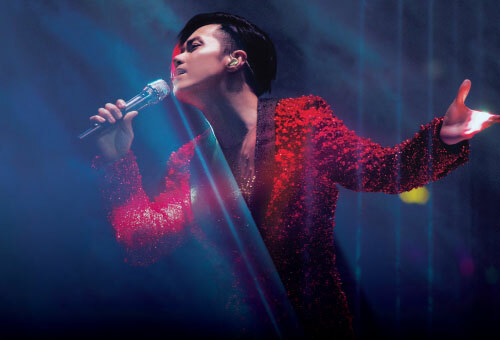 A gala dinner followed, featuring entertainment headlined by Cantopop superstar Joey Yung. The ceremony was officiated by Edmund Ho, vice chairman of the National Committee of the Chinese People's Political Consultative Conference; Yao Jian, vice director of the Liaison Office of the Central People's Government in the Macao Special Administrative Region; Wang Dong, deputy commissioner of the Office of the Commissioner of the Ministry of Foreign Affairs of the People's Republic of China in the Macao Special Administrative Region; Alexis Tam Chon Weng, secretary for Social Affairs and Culture of the Macao Special Administrative Region; Paulo Martins Chan, director of the Gaming Inspection and Coordination Bureau of the Macao Special Administrative Region; Patrick Dumont, executive vice president and chief financial officer of Las Vegas Sands Corp.; and Dr. Wong. 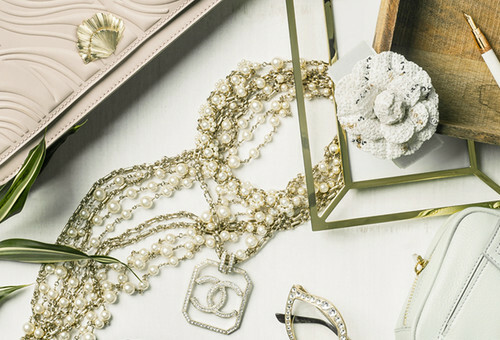 Monday’s celebration had originally been scheduled to take place on The Venetian’s Aug. 28 anniversary date. 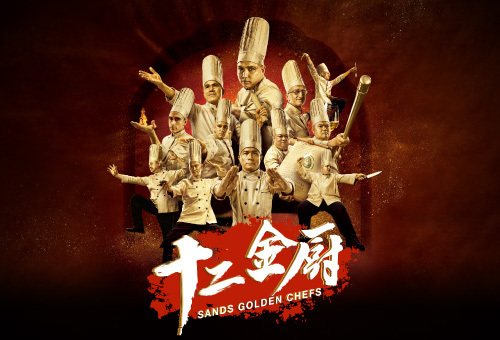 Sands China decided to postpone the event in light of the needs of the Macao community in the aftermath of Typhoon Hato. 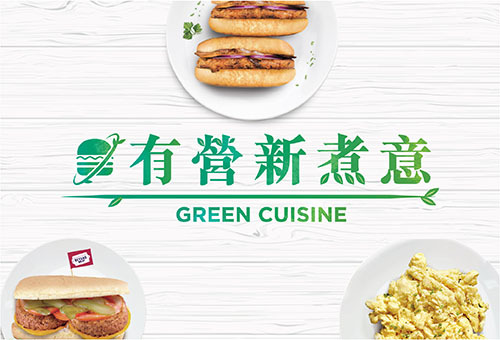 In the wake of the natural disaster, Sands China was heartened to see that, following the lead of the Macao government, the company came together as one team – from rank-and-file team members to management – to lend its support and its resources to the people of Macao. 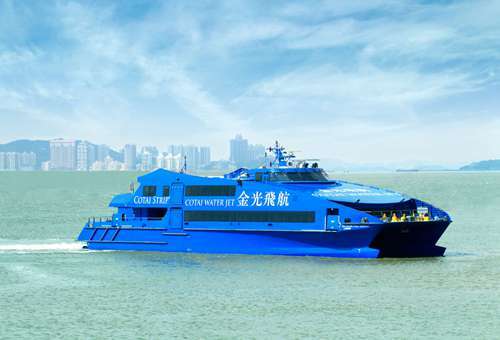 After Macao had made significant progress in its recovery, the company then rescheduled the 10th anniversary event to its new date. 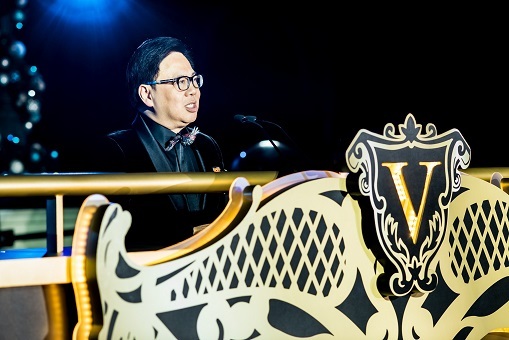 Photo caption: Sands China Ltd. President Dr. Wilfred Wong addresses the audience at the 10th anniversary celebration for The Venetian Macao Monday at the integrated resort’s outdoor lagoon. Photo caption: Guests of honour officiate the 10th anniversary celebration for The Venetian Macao Monday at the integrated resort’s outdoor lagoon. 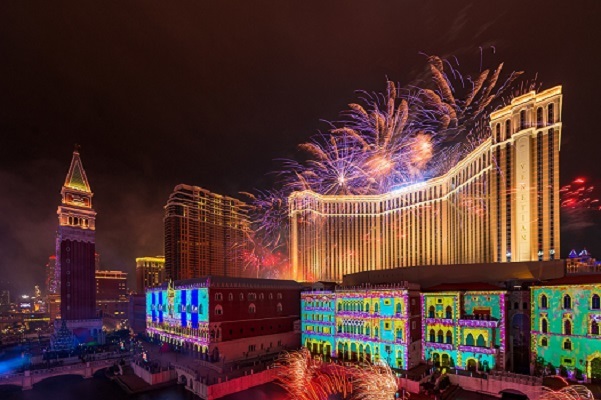 Photo caption: The Venetian Macao’s façade is illuminated by 3-D mapping while the sky above is lit up by a pyrotechnic display Monday night at the integrated resort’s 10th anniversary celebration. 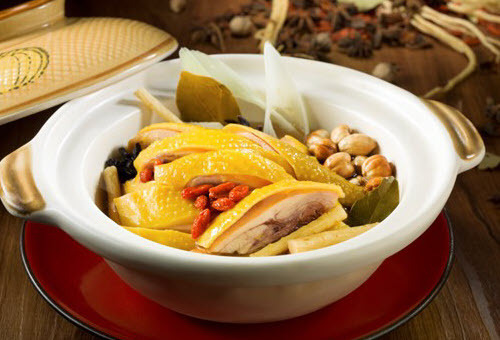 For more information, please visit www.sandschina.com.